Surely, you did not think it will go just like that, did you? Rally would be a very VERY boring sport if at any given moment you could be sure that the positions are cemented and no change is possible or likely. Um, okay, we had a bit of that over the last, what was it, nine years, but even then rallies were far from being predictable. This year, with Sebastien Loeb making only few cameos, it’s up to the rest of the field to show what they can do. With the pace Sebastien Ogier demonstrated so far, many are concerned we’re entering another era of “boredom” and “predictability”. His pace and consistency are very impressive, but he is, as it turns out, a human after all. All it took was a single bit of road with some dampness on it, and Ogier’s hopes of victory and title were smashed hard against the concrete kerb. I’m not entirely sure about the cause of the crash – did Seb’s gravel crew miss the spot, or did the road get wet after the gravel team went through, but regardless, Ogier was forced into retirement. That came handy for Jari-Matti Latvala and Thierry Neuville. They were very much responsible for pushing Ogier hard on the previous stages, and after the Frenchman’s demise they focused on trying to beat each other on the remaining stages. Fantastic battle, made even better by the fact that Dani Sordo is still very close. This fight is still far from over, especially if the weather decides to take the leading role tomorrow, turning the twisty and narrow tarmac roads into muddy, slippery hell. 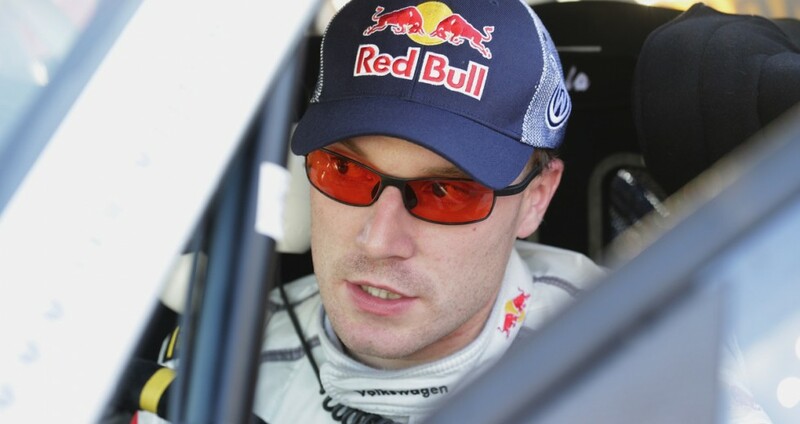 Ogier is going to return tomorrow as a Rally2 competitor. Victory is out of the question, but that does not mean he will not be pushing hard for points. Volkswagen’s hopes, in the meantime, rely on Latvala, and for now he is doing a very good job of dealing with the pressure. Changes to the car during midday service enabled him to feel even more comfortable and confident and up to this point, Jari-Matti is having a great rally. Thierry Neuville is perhaps even more impressive as the leading Qatar M-Sport driver. His pace in Finland was no coincidence and it’s getting more and more obvious that Thierry is ready to take the battle to the rest of them. It’s beyond great to see one of the could-be talents living to his potential and expectations. Neuville is ready for the big things, no doubt about that. Huge, terrifying day is ahead of the competitors tomorrow. Arena Panzerplatte in all its glory awaits them, two runs over 41 kilometer maze. Mistakes are not an option, because they will usually lead to instant retirement. And we have two crews locked in the battle for the overall victory, what could be better. Plenty of kilometers to go and pressure to endure, we’re sure in for a treat.